Police officers stand to confront a crowd they're trying to break up a on Canfield Dr. in Ferguson on Saturday, Aug. 9, 2014. Hours earlier a white police officer Darren Wislon, shot and killed Michael Brown, an unarmed 18-year-old black man on the same street. A crowd of people angry at the police quickly formed and confronted officers. 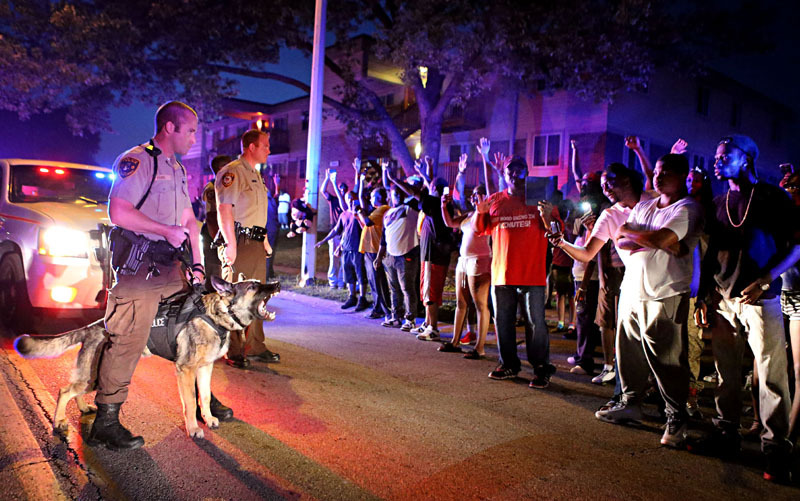 This was the first night of protests and unrest in Ferguson.